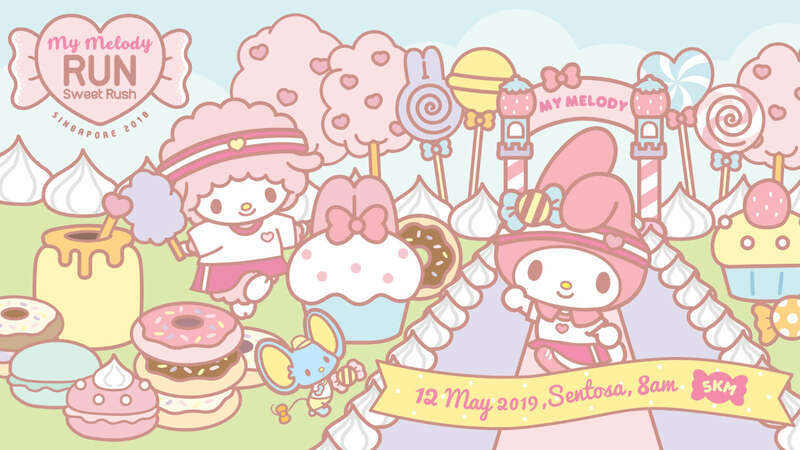 Fuel your sweet rush with My Melody Run Singapore 2019! The world's FIRST My Melody Run will be happening on our sunny island, Singapore! Join us on 12th May for the sweetest day out and share your love for the ever honest and good natured rabbit. Fans can expect nothing less than a fun and exciting day with activities lined up for all! 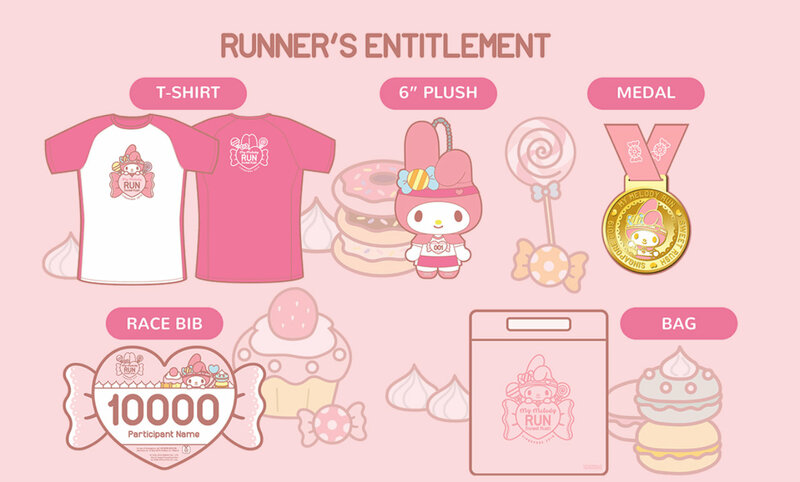 It is mandatory for all My Melody Run Singapore 2019 participants to collect their Race Entry Packs within the dates stated above. Participants will need to bring along a photo ID (NRIC / FIN / Driver’s Licences / Passport) for the collection of Race Entry Packs. The Organizer reserves the right to refuse participants without the required documents from collecting their entry packs. • A copy of the participant's identification card and confirmation slip for verification. • Your representative's identification card for recording purposes. No authorization form is required. Your representative's particulars will be noted down for record purposes. Travelling from overseas for the event? We recommend that you authorize someone to collect it for you at the stipulated dates above. Otherwise you may collect it at the event site on race day. - Children who are born on 13 May 2015 and after, will be given free admission (without any entitlement). They must be accompanied by a registered adult. - Actual size may have a +/- 1 to 2cm variation from the size chart above. - No exchanges will be allowed during the Race Entry Pack Collection and Race Day. - Please note that the Organiser reserves the right to make any prior changes without informing participants. 1. What am I entitled to as a participant? 2. How do I know if my entry has been accepted? Ans: You will receive an email confirmation slip upon successful registration. 3. Do I get a refund if I choose not to participate after registration? Ans: No. Upon confirmation of registration, there will be no refunds of fees made for any withdrawal from the race, for any reasons. 4. Can I make changes to my personal particulars after registration? Ans: Yes. You can log in to your Spacebib account to edit them personally before they are locked. 5. Can I transfer my race registration if I wish to withdraw from the race? Ans: No. All race registrations are strictly non-transferable. 6. 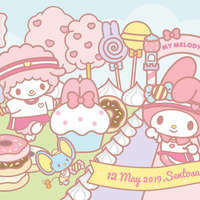 When is the My Melody Run Singapore? Ans: It will be held on Sunday, 12 May 2019. 7. Where will the race be held? Ans: The race will flag-off and finish at Sentosa. 8. Will I get race timing? Ans: This is a non-competitive race; no timing will be given. 9. Will I get a finisher medal if i did not complete the race? Ans: No. Finisher medals will only be given to participants who completed the race. 10. Is there a cut-off time? Ans: Yes. The cut-off time is at 10am. 11. Is there a baggage deposit at the start point? Ans: No. There will be no baggage deposit. 12. Can I skate or cycle during the race? 13. Can I bring along my pets? Ans: No. Pets are strictly not allowed. 14. Will I be allowed to bring strollers? 15. Will there be an official photographer? Ans: Yes. Photography and/or videography will be taken during the event for news and publicity purposes by the official photographer and/or videographer, and may be used for print and on online/electronic platforms of the organiser. The organiser owns all rights to the photographs and video recordings. If you do not wish to have any photographs or video recordings taken of you, please inform the Organiser at the event site. 16. What if I am injured during the race or otherwise unable to finish the race? Ans: Please approach the nearest first aiders deployed along the route. Participants who require immediate medical attention may alert the route marshals. 17. Will I get a E-certificate after the race?